A lean-to conservatory is a cost-effective and stylish way to add extra space to your home. Suitable for all types of property, it’s sleek aesthetic looks great on modern buildings. It is easy to install so in hardly any time you’ll be enjoying all the benefits of an extended living area. 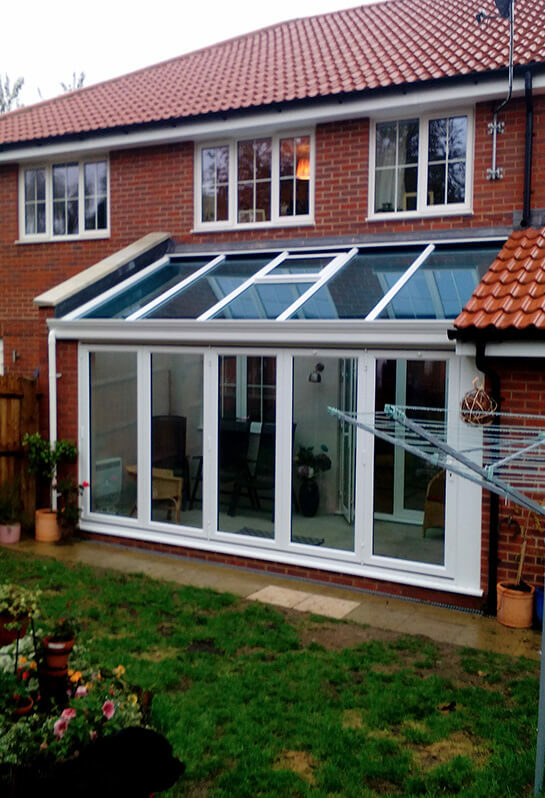 Lean-to conservatories function best when installed onto south facing buildings. When exposed to the sun, their large glazed areas will brighten up any home’s interior. Their sloped roof is attached to the original with the longest walls coming directly out into your garden. This simple but effective conservatory design creates a great place to relax, entertain, work, or play with the children. Your lean-to conservatory can incorporate your choice of glazing and frame type. From contemporary aluminium to popular uPVC, whatever material you choose, you’re guaranteed quality and high performance. Choose your favourite colour and style of entrance doors to suit your home and personal preferences. At FineLine, all our conservatories are bespoke designed to your exact specifications. We work closely with every customer to ensure your expectations are realised. From the initial consultation, through design, to the completed installation, we provide a hassle-free service which is professional and efficient. 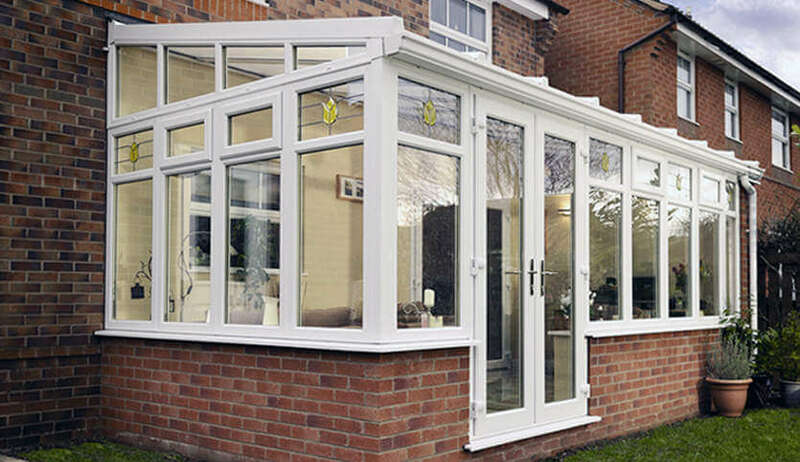 Our Lean-to conservatories are available in popular uPVC or modern aluminium. Choose the best material to suit your home’s style and your requirements. Conservatories Constructed with modern uPVC for high performance and an attractive aesthetic. 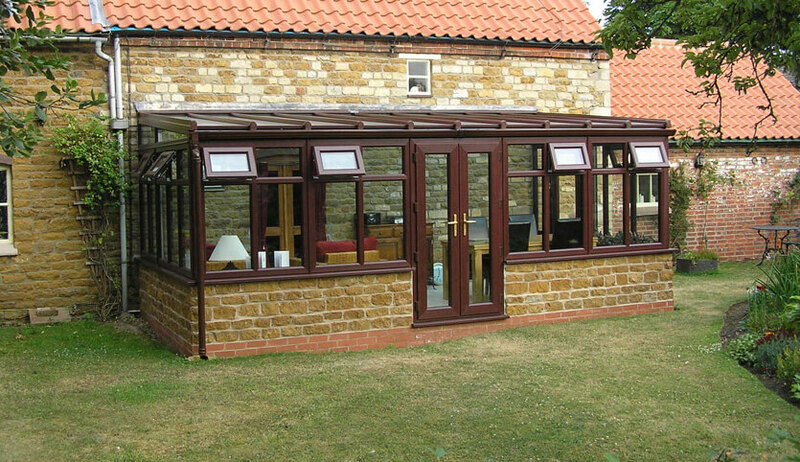 Our Lean-to style conservatories can be customised with colour to perfectly complement the features of your property. 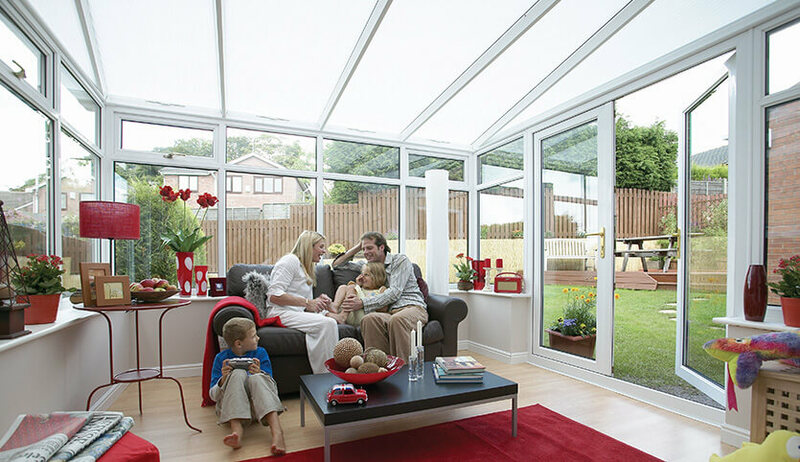 Our Lean-to conservatories are double glazed for improved security and energy efficiency. Customise your orangery with a selection of styles, glass, and bar options.